Welcome to the upper class of our compaction machines! 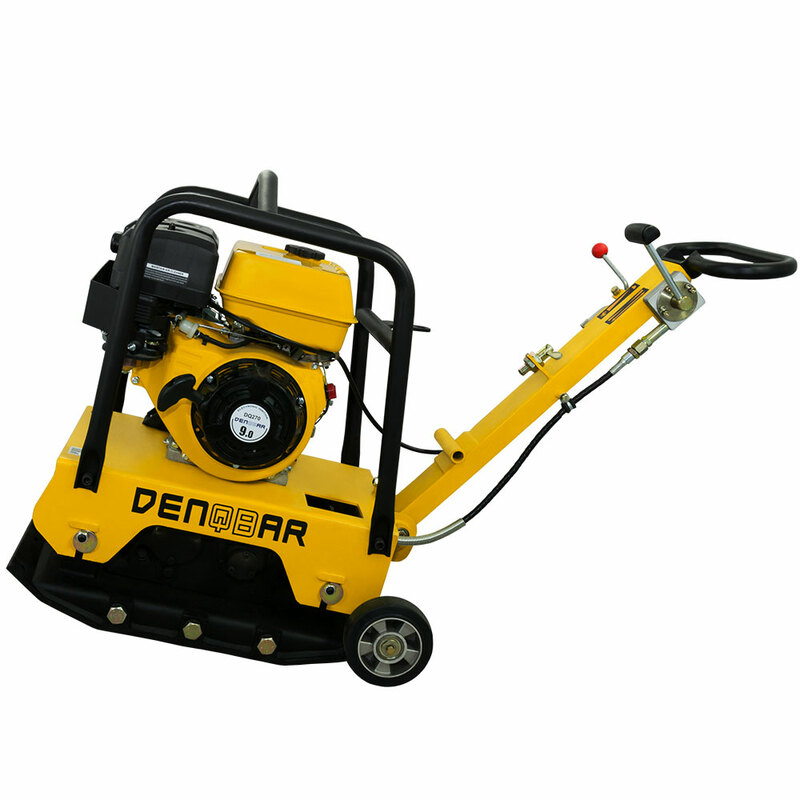 The DENQBAR plate compactor DQ-0217 convinces with its powerful 9-HP engine of the latest generation. With its operating weight of 188 kg, this model has a huge compaction pressure of approx. 32 kN for a compaction depth of up to 50 cm. That's what will make our plate compactor DQ-0217 indispensable for challenging soil and asphalt work. 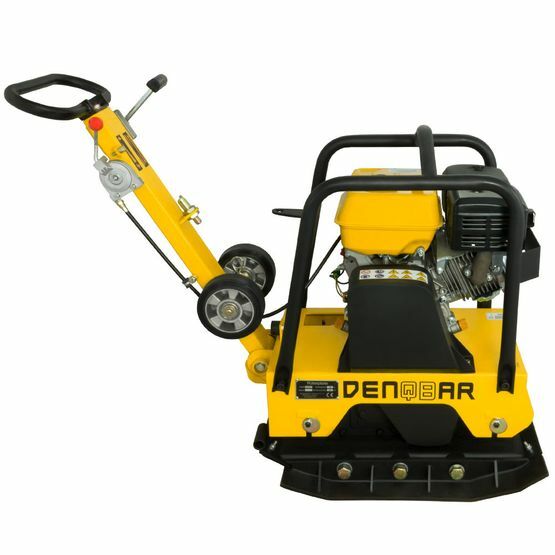 As well it should be your first choice when compacting high paving stones (height approx. 10 cm). Datasheet of the DENQBAR DQ-0217 plate compactor to download. This DENQBAR plate compactor impresses with another advantage: It is supplied with two extension plates, so the working performance can be extended. Make your work experience as efficient as it gets! Moreover, fixing the extension plates is simple: Just screw them into the intended holes with the material delivered. Of course, the extension plates are just as robust and highly wear-resistant as the base plate, therefore guaranteeing a long life. Products that have been awarded the "Geprüfte Sicherheit" guarantee high quality. Moreover, they leave no doubt concerning safety requirements. 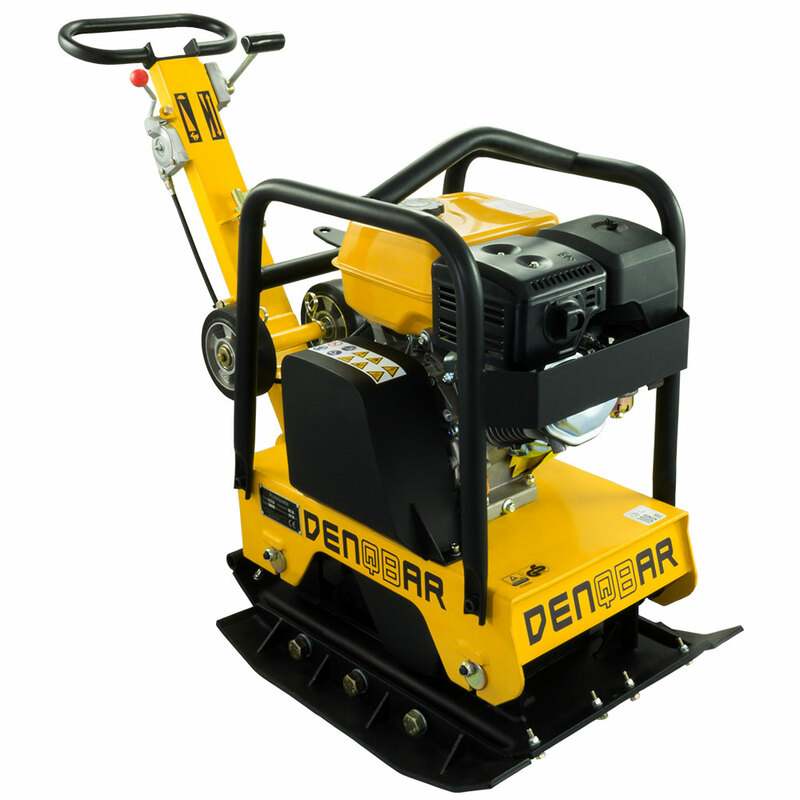 With our plate compactor DQ-0217 you play safe: It has been successfully certified with No. S 50346570 by TÜV Rheinland. Innovative and powerful: professional quality for the most demanding work. Stop looking for it! You will not find any disadvantages concerning the handling or the ease of use of this product: since our DQ-0217 is reversible, it can work both forward and backward, so the plate compactor can perform greater tasks in confined areas. Thanks to its stationary compaction function even the most stubborn soils are not a problem anymore. 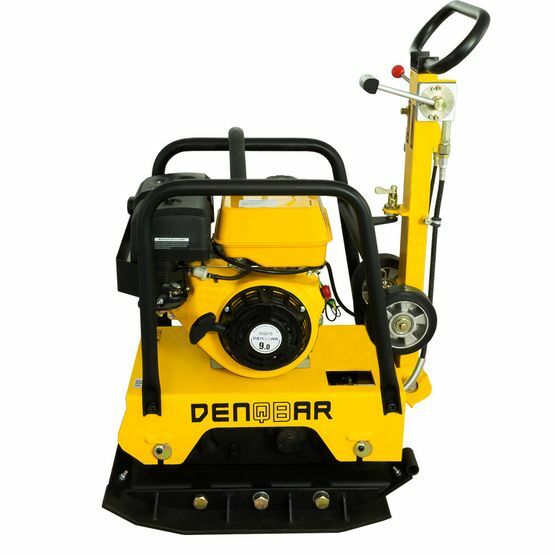 The center-mounted sling bar on the sturdy protective frame allows for easy transport and is particularly useful, for example, when the plate compactor is to be lowered into a trench or brought back up again. You should rely on long-time experience of a specialist retailer, especially when buying a plate compactor as primarily performance, processing, ease of use and robustness are important. The major advantage is that we are also the manufacturer of these machines. 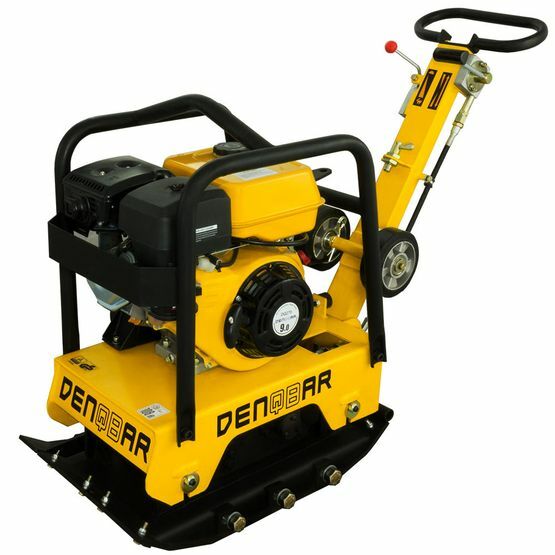 Today, DENQBAR is a key manufacturer on this market. With our wide and high quality range of products we meet individual requirements of our customers. 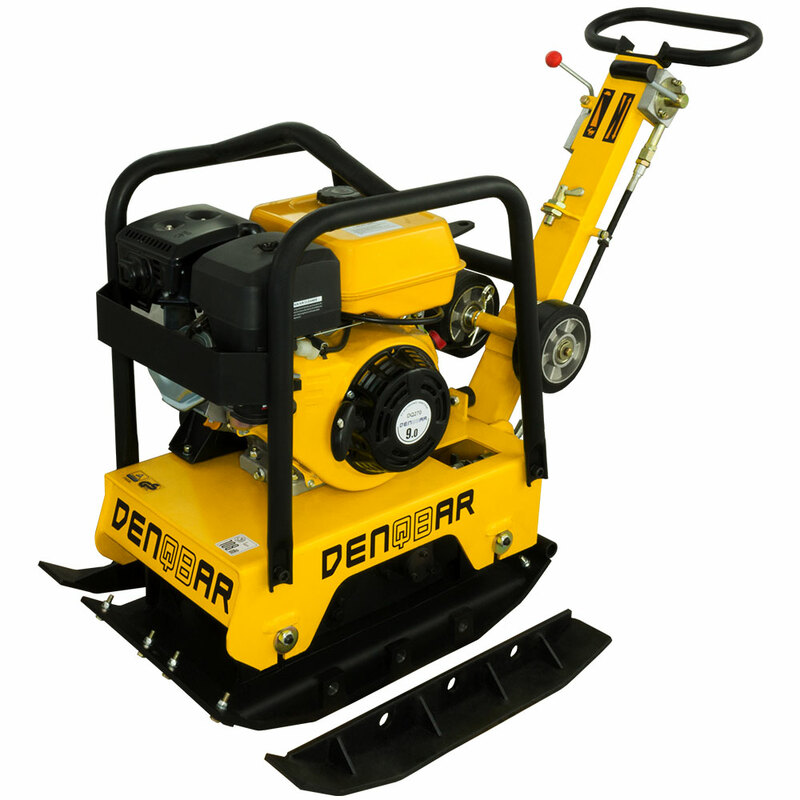 Also contributing to this is the plate compactor DQ-0217, one of our most popular models.